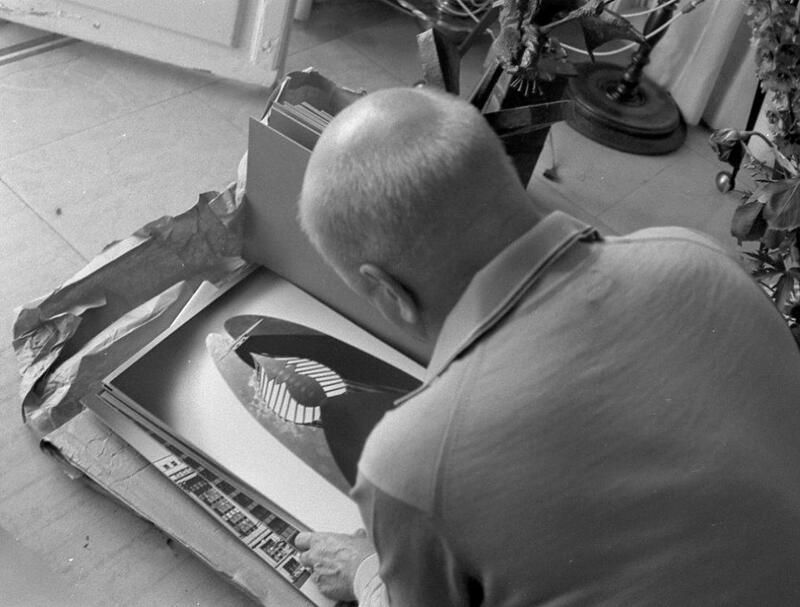 Picasso studying one of the photographs that is part of the project “The Chicago Picasso”. The artist made two copies of the sculpture, entitled Head. He kept one copy in his studio and gave the other one to the American architect William Hartmann (now in the Art Institute of Chicago). With the help of artist and poet Roland Penrose, Hartmann had persuaded Picasso to design a huge monument of steel for the new Civic Center in Chicago, which opened in 1967.